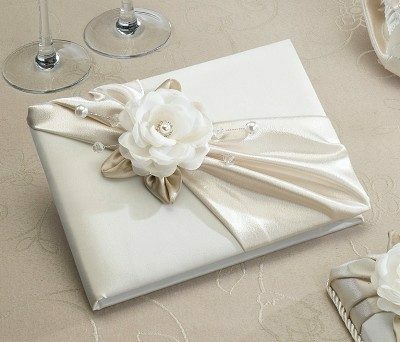 An ivory satin ribbon and bow decorated with a rhinestone and pearl ornament provide a finishing touch to this wedding keepsake. 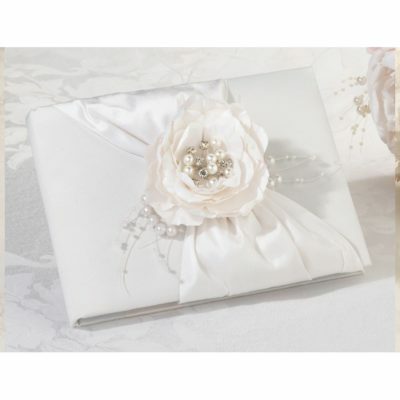 An ivory satin ribbon and bow decorated with a rhinestone and pearl ornament provide a finishing touch to this wedding keepsake. 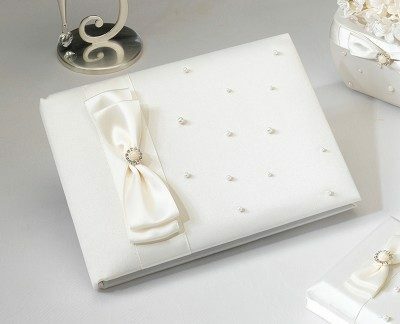 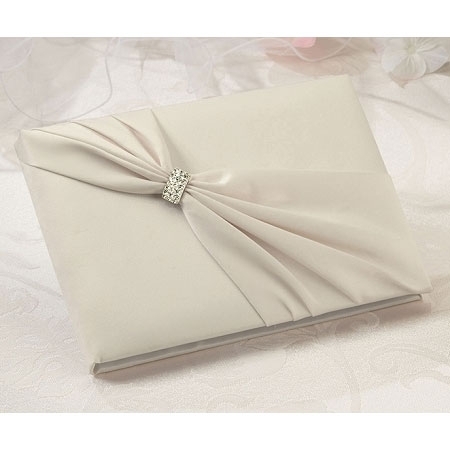 This elegant 8.5″ x 6″ Satin Rhinestone Guestbook-Ivory is covered with a luxurious satin fabric dotted with scattered pearls. 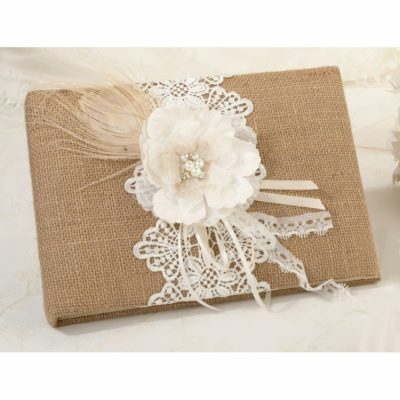 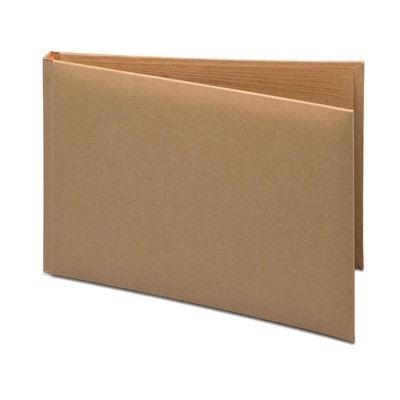 This 55-page guest book has room for 990 wedding guest signatures.